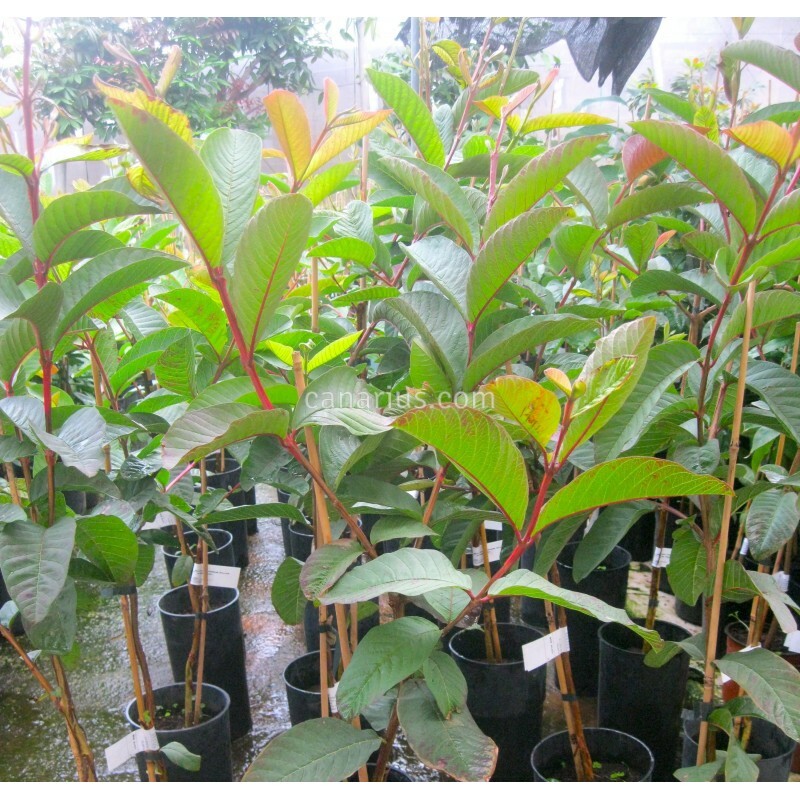 Guava is a subtropical perennial tree native to the American tropics that has become a wild plant in many tropical regions of the planet. The Aztecs called them "xalxocotl" that means "sand plum" because the many small edible pips. 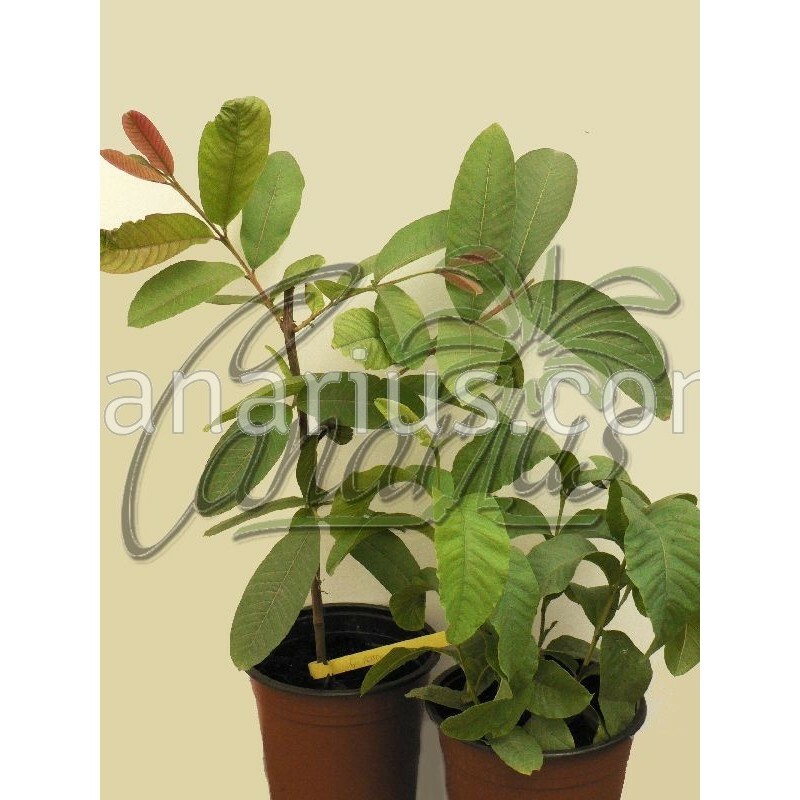 It is a small tree that reaches up to 2-6 m (5-17 ft) with a straight trunk, branched with hard wood. Its grey bark often desquamates and show stains. Leaves are opposite, simple, oblong or elliptic of green pale colour. Flowers are white, big, 2,5 cm (1 ") of diameter, fragrant, growing solitary or in small bunches. Fruits are berries of 15 cm (6 ") with pink flesh and plenty seeds. The skin is edible and could be white, yellow, green or pink. 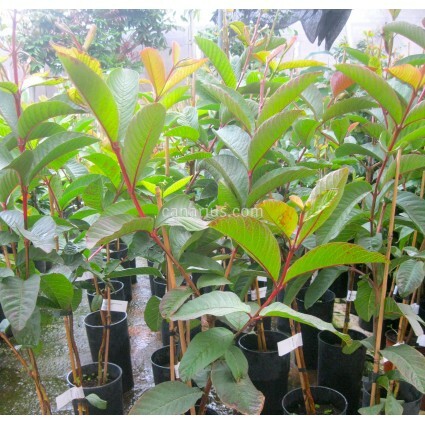 Guava has a high content in vitamin C and it is available in spring and summer. Can be eaten fresh, used in desserts, and for nectar, juices, preserves and sauces. The variety "Stone ruby"